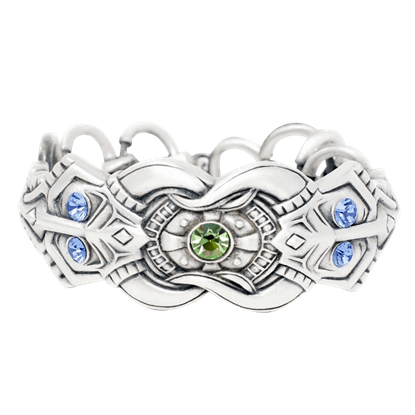 The Dragon Bracelet is a chain bracelet and features blue and green gems with dragon designs around it. This bracelet is made of lead free alloy. 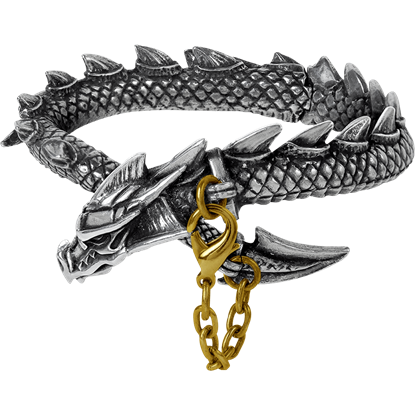 The Dragon Bracelet is one size fits all and can be slightly adjusted. The beating wings of beasts of fire can churn up a thunderstorm unlike any other. For everyones sake, it is best to keep creatures like this out of the sky by snugly securing them to your wrist, as in the Dragon Maelstrom Bracelet. A ride on a dragon is quite a temptation, but all too often, such steeds eat their riders once they get them off the ground. 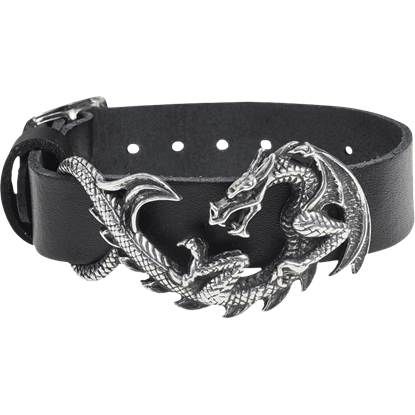 That is why it is always better to make the dragon ride you, and with the Dragons Lure Bangle, you can do just that. The Fantasy Dragon Silver Anklet adds a little dragon charm to your day whether prominently displayed as a gleaming silver part of your warm weather attire or for secret inspiration under your pants. 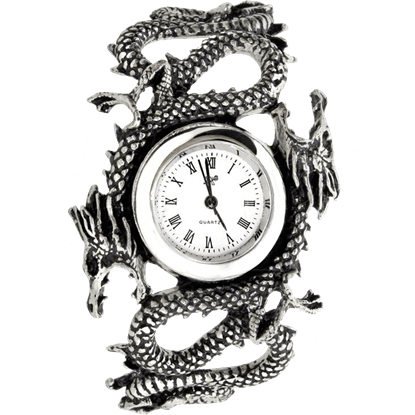 With all the mystique of the orient and the elegance of a Victorian connoisseur collector, this Imperial Dragon Wristwatch is an impressive sight for any to behold. It is a perfect element for fantasy, medieval, and gothic enthusiasts. 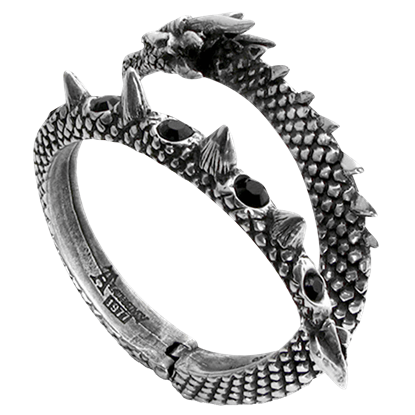 Entwined around this silver bangle are two fearsome dragons, who are sure to inspire you with their strength and power. 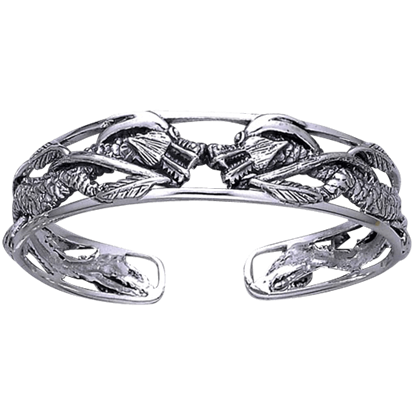 The Sterling Silver Twin Dragon Bangle Bracelet celebrates this popular fantasy creature of legend and lore. Are you looking for a bracelet that embodies fantasy and gothic style in one nice package? Then look no further, because this Vis Viva Dragon Bracelet is a lively accessory with impressive detailing and a style fit for all occasions. Add a little fantasy to everyday activities with the easy addition of the White Bronze Fantasy Dragon Anklet to your ensemble! 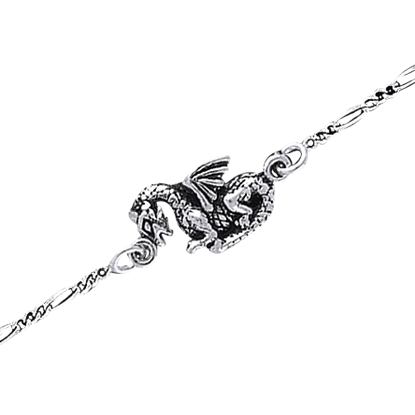 The fantasy ankle bracelet displays a charming little dragon along a length of thin chain.